With over 23 thousand undergrads living in MSU off-campus housing, competition for the best places in East Lansing near campus is FIERCE. That’s why Rent College Pads gives Michigan State students the ability to compare all the closest MSU off-campus housing options to campus. All of our off-campus housing options have been verified and approved by our diligent team. 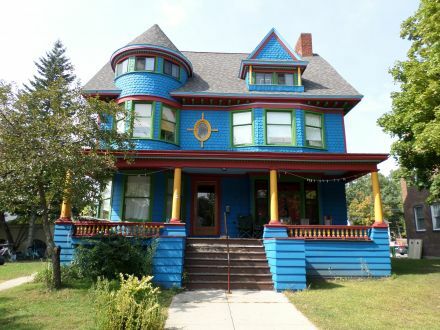 We’ll even follow up with you and your potential new landlord to make sure you have found your perfect East Lansing rental. While Rent College Pads is your number one resource for MSU off-campus housing, we are not affiliated with Michigan State University. Need more info? Check out our Michigan State campus guide in the tab above. Remember living in the dorms at Michigan State? They were too small and your roommate was either super weird or is now your best friend for life. There was basically no in-between. Apartments in East Lansing are similar, but you’ll finally have some space to yourself. Apartment communities near Michigan State have a wide range of experiences, with some of the more student-specific housing replicating an enhanced dorm experience and other places catering to both students and non-students, but most apartments near MSU do have some sort of a community feel. Sometimes, you're going to have to deal with snow when you go to Michigan State. You'll still have to walk through it on campus, but, as an apartment renter, you never have to worry about shoveling or salting a driveway or walkway. Thank goodness. The apartment search season at Michigan State may be the country's most intense. Most students begin their search in September and October for apartments near Michigan State. Even if you're set on living in an apartment by yourself - typically something you can wait till a few months before you move in on - you might have trouble finding anything near campus by the time the second semester rolls around. Find your MSU apartment in early October and save the panic for exams. Neighboring the Michigan State University to the north and Downtown East Lansing to the east is Bailey. Bailey. Mainly a residential neighborhood, Bailey is home to families, empty nesters, Michigan State University faculty, and students. The Bailey Community Association often times works with the Michigan State Community Relations Coalition to host a series of events in the neighborhood throughout the year. Some of these events include the Valentine’s Party and the Summer Ice Cream Social. These events are held at the Orchard Street Pump House which is a historic 1930s building and the biggest neighborhood staple. Throughout the year, the Orchard Street Pump House hosts concerts featuring bands, bluegrass, R&B, folk, and country artists. North of the Michigan State University campus is Downtown East Lansing. With over 185 businesses Downtown there is a great variety of local shops and restaurants to visit. 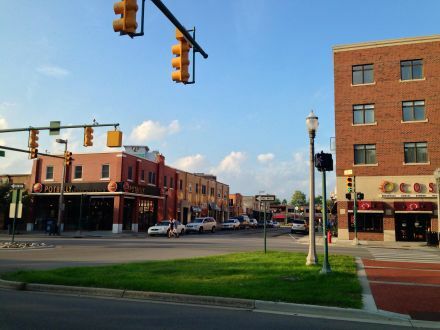 East Lansing is by no means a big city but the Downtown area is certainly the “happening” spot where no matter the time of day you’ll find many students and residents jogging the streets, grabbing a bite to eat, or partying on a Friday night. Some of the top restaurants to check out are The Black Cat Bistro, Hopcat, and Sansu. There are a bunch of boutique shops to buy clothing and unique gifts and plenty of convenience stores like 7-11 to pick up late night snacks and toilet paper that your roommate just used the last of. Downtown is home to several art galleries like SCENE and the Grove Gallery & Studios. Throughout the year, Downtown East Lansing holds over 50 community events. Some of these events are the Summer Solstice Jazz Festival, Moonlight Film Festival, and Winter Glow. From June to October, every Sunday at Valley Court Park the Farmer’s Market is held where local vendors set up booths to provide residents with locally-sourced food. With so many things to do Downtown, one thing for students living in East Lansing is to do some “Grand Rivering.” Which is hitting up all the shops and taking in the nightlife along Grand River Avenue as well as Albert Avenue. This is the spot to go on the weekends where you can find a bar to fit your style. Looking for something quiet and laidback? Check out The Peanut Barrel of Beggar’s Banquet. Crunchy’s is the place to be if you want to practice for your music debut as you sing some Bon Jovi on Karaoke nights. The RIV offers $3 mugs of Labatt Blue and oversized games of Jenga. If you want a DJ and a dance floor check out Landshark or PT O’Malley. Need to get home? Cabs line up and down these streets nightly and run just a couple bucks. North of The Michigan State University campus are, in order from south to north, the Chesterfield Hills, Oakwood, and Glencairn neighborhoods. Each of these neighborhoods forms the western border of Downtown East Lansing. These neighborhoods are all primarily made up of residential units and while most of them are houses, there a few apartment complexes scattered about. There are a lot of families in this area but students are dominant. There is a program called the Brownie Brigade that welcomes new students to the neighborhood. Commuting to classes and getting Downtown only takes a matter of minutes. When it comes time to party, these neighborhoods are the top ones where you’ll find the house parties going down throughout the year. Just south of Downtown East Lansing, across the Red Cedar River is Michigan State University. Michigan State is the heart of the entire city and really the main focal point. The majority of East Lansing bars, restaurants, and businesses cater to students and the many of the working-class residents in East Lansing are affiliated with the university. 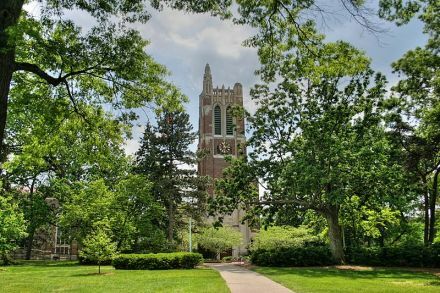 The enrollment total at Michigan State is larger than the city’s overall population, which makes East Lansing a big college town. 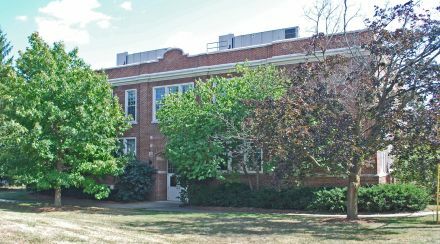 Many of East Lansing's popular attractions can be found on the Michigan State University and the surroundings area. Like most any big university or college, football is huge! Every Saturday during the fall season, thousands upon thousands decked out in white and green go cheer on their Big 10 football team at Spartan Stadium. The Dairy Store even makes Big 10 themed ice cream made from the milk of cows on campus! The Wharton Center for Performing Arts attracts a big crowd as they host concerts and broadway style plays throughout the year. The Eli and Edythe Broad Art Museum is another popular spot on the MSU campus that draws in tourists and residents alike. In this area, there are much more apartment complexes versus houses. The apartment buildings range anywhere from small quaint buildings to larger luxury complexes boasting furnished apartments with amenities like fitness centers and swimming pools. The housing around Michigan State is also in walking distance to campus so there isn’t a need for a car. Bikes are also a great option and there are many biking trails throughout East Lansing. The CATA bus line has many stops throughout the area that will take you anywhere you need to go around the East Lansing area. Overall, East Lansing has much more franchises versus local spots so you’ll see a Denny’s, IHOP, McDonald’s, and a Hobby Lobby. One of the “must see” places is the Ellison Brewery & Spirits, which is one of East Lansing’s top attractions. You can even join the mug club at this microbrewery and distillery! For the outdoorsy type, around the Michigan State campus area, there is Cherry Lane Park and Municipal Park.